Hello and welcome to Contempo Catering! 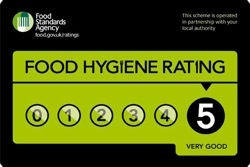 Serving up DELICIOUS, FRESH, GOOD QUALITY food for private and corporate events across South & West Wales since 2012. Catering with homemade produce for private and corporate customers. Contempo Catering can take care of all your catering needs, from canapes to cupcakes. Wedding cakes, celebration cakes and edible favours. Cakes, bakes and puddings. All of our cakes are made using local free range eggs usually within a day or so of baking! A range of vegetarian and vegan produce by Contempo Catering.